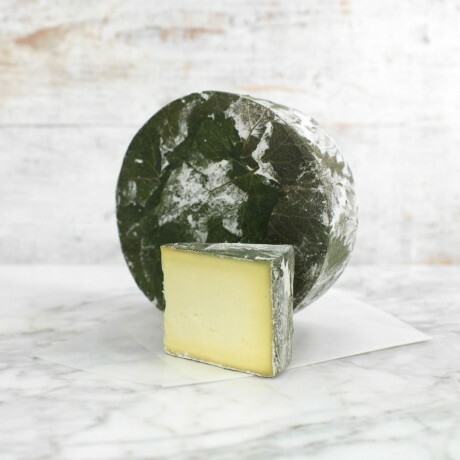 A unique Nettle Wrapped Cheese from Lynher dairy in Cornwall, creamy and slightly crumbly. This famous cheese is wrapped in nettles which encourage natural bacteria to form and create a mouldy (but edible) rind. As the cheese matures, the nettle rind imparts a delicate, mushroomy taste. Made from pasteurised cows’ milk, this is a fresh cheese with citrus notes. Shelf life: 14 days. Store in the fridge, serve at room temperature.